This is the most useful and versatile of all jewellery making techniques. It is worth practising with cheap wire until you are able to turn neat and regular wrapped loops. Position the round nose pliers at the point on the wire where the loop should start. 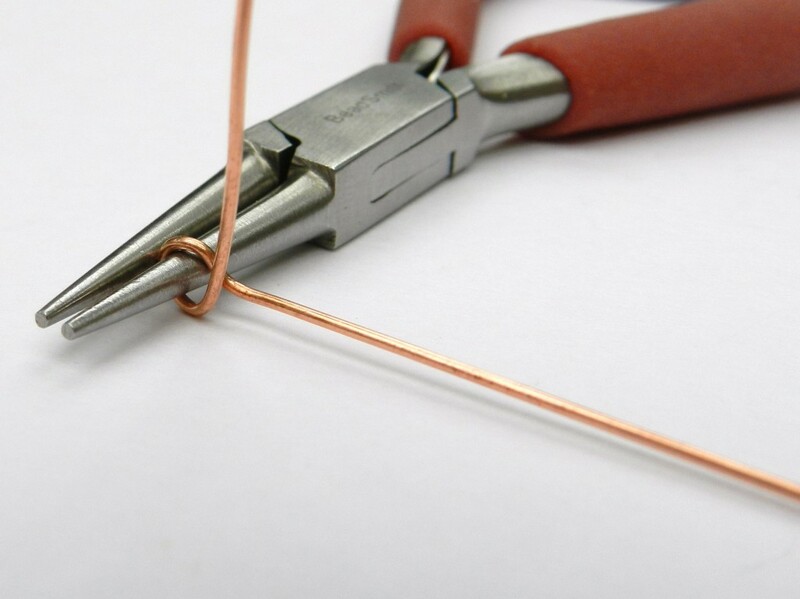 Grip the wire with the tip of the pliers for a small loop and nearer the base of the pliers for a larger loop. 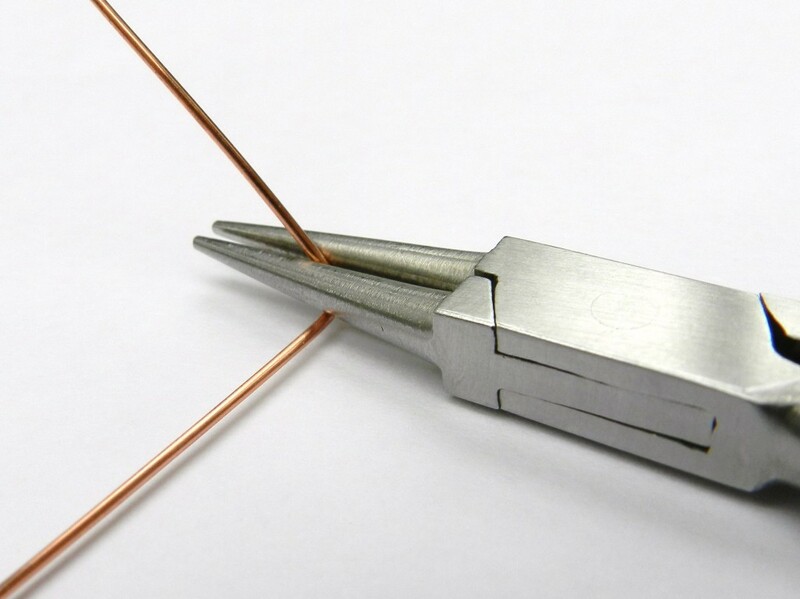 For consistently sized loops mark the pliers with a permanent marker and always grip the wire at that point. Turn the pliers to form a right angle. 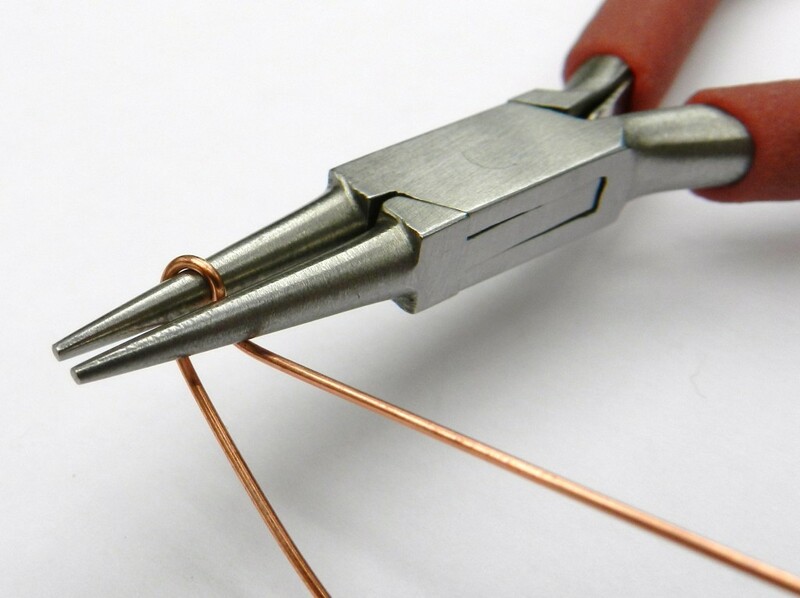 Bend the wire over the top of the pliers to form three quarters of a circle. Reposition the pliers so that the lower jaw is inside the loop and bend the wire to complete the circle. If something needs to be attached to the loop slide it on now, before the loop is secured. 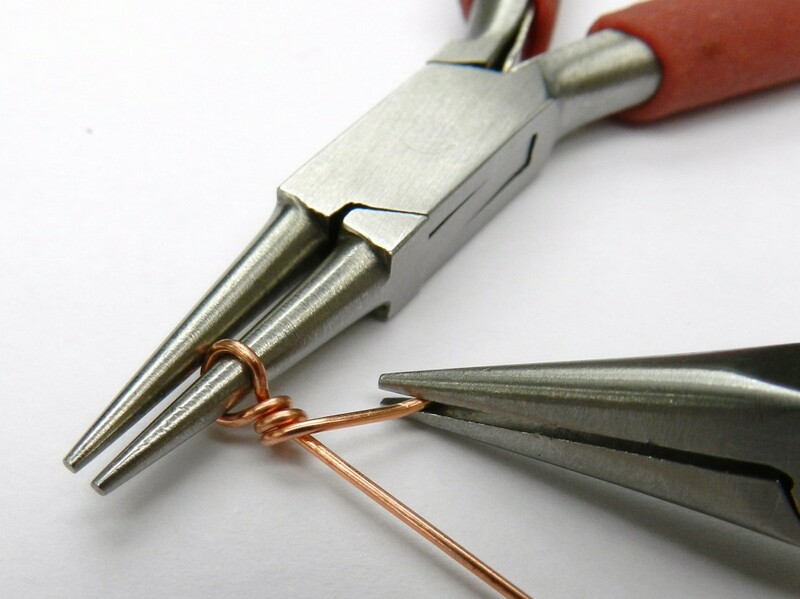 Grip the loop with one pair of pliers and the shorter end of wire with another pair of pliers. Wrap the wire under the loop 2 or 3 times. Cut the short end as close to the wraps as possible and press the sharp edge close to the wraps with flat nose pliers.